We got our new stove today. The one already in the flat was leaky and has been replaced by the landlord. Yay for being able to cook again, we've been relying on microwaved food for too long. 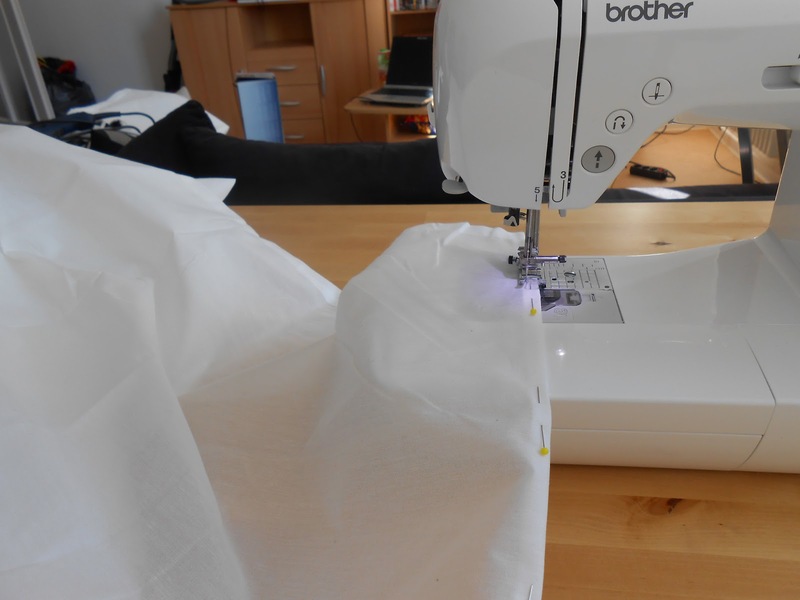 Afterwards I finally broke out my darling sewing machine. Been missing this good friend! 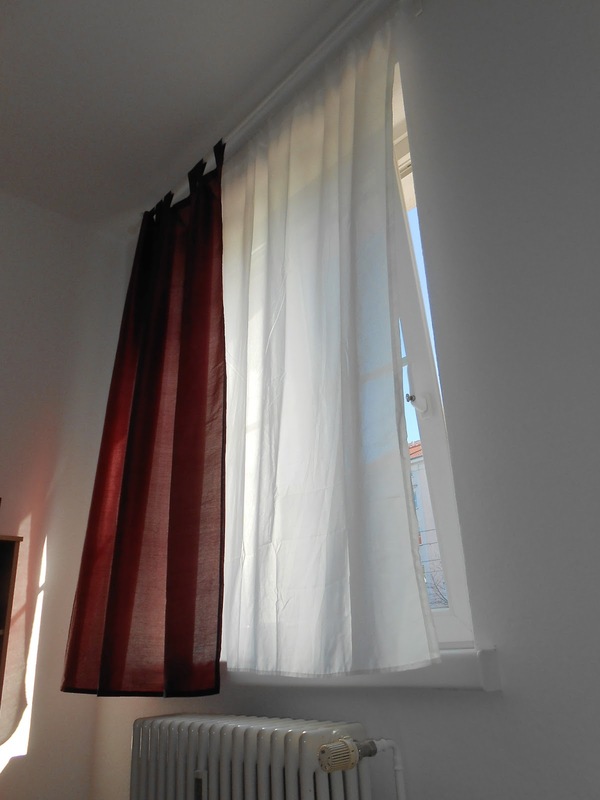 First post-moving job was nothing fancy, I fear, just shortening some cheap white Ikea curtains. In our old Berlin flat we had slightly see-through magenta-coloured curtains in our living room and that was it. The flat was in the fourth storey and there were no buildings on the other side of the street. Our new flat, however, is on the ground floor at a large crossing with a broad pavement, so we need more privacy during the day but especially in the evenings. As spring is finally showing its beloved sunshine-y face we can also make do with the shade it provides for the telly and laptop screens. Hmm, still a good couple of hours to while away. Time to get more creative than shortening curtains, methinks. Not a lot to show but still linking up with Randi's Show and Tell Tuesday over at Fresh-Squeezed Fabrics and looking forward to what others have been up to. Sometimes it's those necessity things that are the hardest to find time to accomplish....but practically enjoyed once we do! :) Here's to come more creative time for you ahead soon! Nice to get the curtains out of the way so you can get on to more fun sewing. I have some Ikea curtains to hem just now, I've keep putting off. Fixing curtains is definitely an accomplishment! They look great...and you got to sew. =) Visiting from Show and Tell. Happy Tuesday!